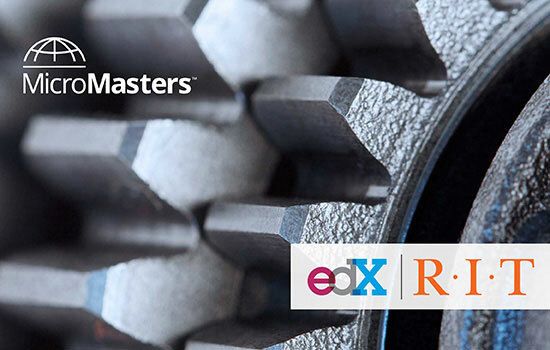 One-hundred and thirty-six learners from around the globe have completed the first MicroMasters program offered by Rochester Institute of Technology, through the edX online learning platform. Armed with a MicroMasters credential in Project Management, several of those students are already enrolled in credit-bearing classes at RIT, working toward an advanced certificate or master’s degree from RIT’s School of Individualized Study. The Project Management MicroMasters program is a graduate-level online sequence, consisting of three offerings and a final capstone exam. Taught by Leonie Fernandes and Celine Gullace, instructors of project management in RIT’s School of Individualized Study, the program takes about 45 weeks to complete. Those who earn the MicroMasters credential can then build on their work by applying to RIT for a customized master’s degree in professional studies or an advanced certificate in project management. If accepted, they can be awarded nine credits for the MicroMasters credential toward select graduate programs at RIT, saving more than a quarter of the time and cost of a traditional RIT master’s program. Also, either program can be completed by studying fully online or on campus. The program runs continuously, so at any time, learners can join and complete the program in as few as six months to a year. To learn more about the Project Management MicroMasters Program at RIT, go to rit.edu/ritonline/ritx/micromasters/project-management.